So for a while there I thought I was doing a project on construction in the city. In the end, I decided it was boring and abandoned it, simply because I wasn’t getting close enough to the subject. You can only shoot one or two kinds of pictures from the outside of a construction site. 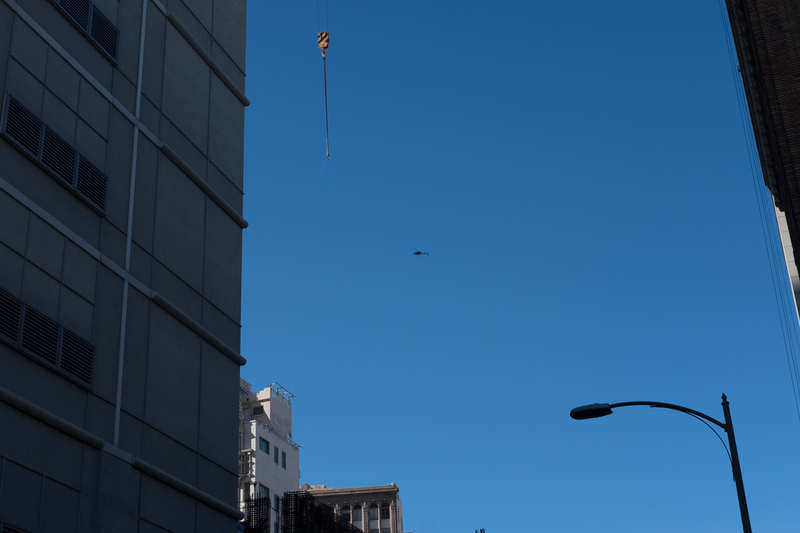 I did a passable job getting photos of the early parts of the construction of the transbay terminal, since that was right on the walk from where casual carpool drops to the office I worked in at the time. 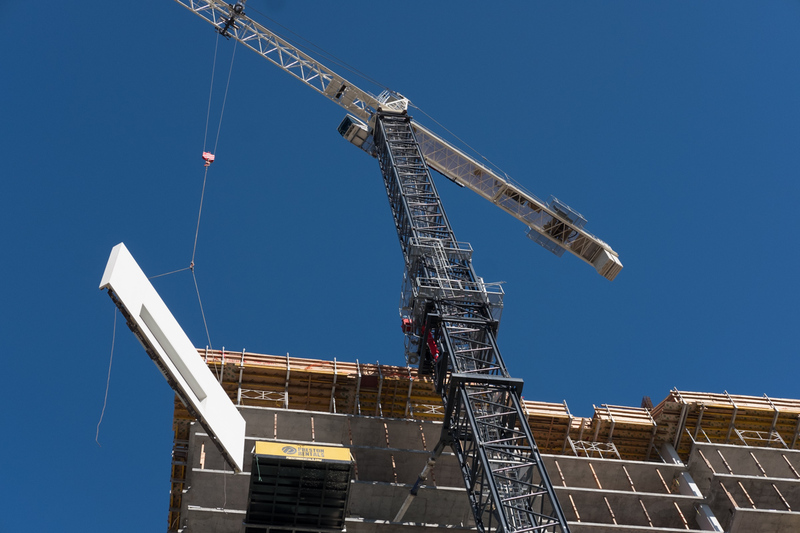 No, though, the real problem with the photo essay on cranes is it does nothing to talk about what the cranes mean, in terms of the growth and change of a city; the gentrification of large swaths of the people that have lived there; or the political forces that allow such things to happen. It’s hard to make pictures that are about YIMBY and NIMBY. My take: doubling the density, going from 3 to 6 stories for most residential properties, would be amazing, but only if the city started doing mixed-use zoning again, allowing for ground level retail and restaurants; how are you going to live without a car if you can’t walk a block to the bodega to get a sixer of beer and then a slice from the place next door? I am not an urban planner, but I do miss NYC sometimes.